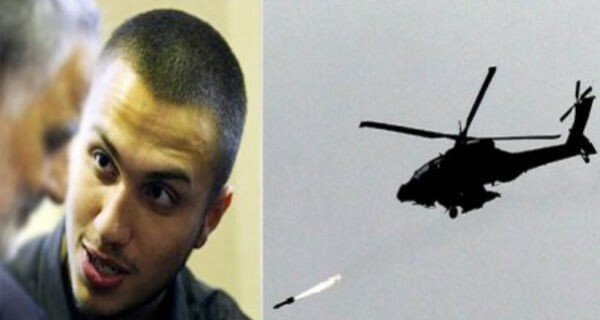 الصفحة الرئيسيّة	>> Was Hezbollah’s Mughniyeh an unintended target? A security source from Beirut tells Al-Monitor how the perpetrators of the 2008 assassination of Hezbollah's military commander might not have known they were targeting the elusive Imad Mughniyeh. For years, Hezbollah’s Imad Mughniyeh remained a ghost. Many had heard of him but only a few had met him outside the inner circles of his organization. Even then he wasn’t known by his real name, but rather by his alias, Hajj Radwan. Even within the ranks of Hezbollah, many didn’t know that their military commander was the same Imad Mughniyeh who topped, alongside Osama bin Laden, the world’s “most wanted” lists. It was only on Feb. 13, 2008, that they discovered who Hajj Radwan really was, when Al-Manar TV reported that he had been assassinated in Damascus by a car bomb the day prior. According to a well-informed security source in Beirut, that night, Mughniyeh had met Khaled Meshaal and Ramadan Abdullah Shalah, the respective leaders of Palestine’s Hamas and Islamic Jihad. Iran’s Quds Forces commander Gen. Qasem Soleimani also attended the meeting, as did an aide of Mughniyeh’s. It wasn’t the first time that these men had met in Damascus — a city they viewed as a safe haven for coordinating among resistance groups. “Mughniyeh started overlooking the Palestinian resistance months before his assassination,” the source said. Following the meeting with Meshaal and Shalah, Mughniyeh drove Soleimani to the airport along with his aide and then returned to the flat where he lived when in Damascus. According to the same source, Mughniyeh was never based in Damascus. The flat was situated in the Kfar Sousa neighborhood, which Hezbollah considered secure due to the high security presence. “Mughniyeh met the Syrian president several times, but he was introduced to him under a different name. The president knew the commander was someone important within Hezbollah ranks, and that’s all he knew. Hezbollah was very cautious with Mughniyeh’s identity, even the Palestinians knew him under another name,” the source said. Back at the flat, the Hezbollah military commander stayed for a few minutes and then went downstairs to the car. “His aide was behind him, and he used to walk quickly. The moment he got near the 2006 Mitsubishi Pajero, a loud voice was heard. His aide ran toward him. Hajj Radwan was on the ground [prostrated]. He checked his pulse to find out that Hajj Radwan was dead,” the source added. In two hours the body was in Beirut’s southern suburbs. It was after midnight. Nasrallah spoke to Syrian President Bashar al-Assad to inform him of the identity of the slain commander prior to the official announcement the next day at 11 a.m.
“[Those were difficult hours], and the Iranians were directly informed. Mughniyeh meant a lot to the Iranians, as to Hezbollah. The leader in Iran saw him as a son and used to consult him on many issues. Mughniyeh lived in Iran for several years prior to his appointment as Hezbollah’s military commander in the late 1990s, and he spoke Persian as a native,” he said. Immediately after Mughniyeh’s assassination, Hezbollah accused Israel. Hezbollah considered multiple scenarios for the operation, and it became clear that it was a complicated multi-agency attack. “Hezbollah’s security teams went to Damascus to investigate the operation. The Israeli touch was clear. It was very professional, and there were indications that local agents helped. Yet, those who executed it were from the Mossad, and there even might be cooperation with some states in the region, but there was still one question to answer,” the source said. After Mughniyeh’s assassination, Nasrallah vowed revenge. He stated on the day of the funeral that an open war with Israel had begun. Nasrallah gave a fiery speech that re-established confidence among the popular bases. He also had a hard task before him: Find a successor to Mughniyeh. The slain commander was Nasrallah’s “jihadist aide,” a post similar to a chief of staff in traditional armies. Mughniyeh wasn’t just his military aide but also his adviser on several issues. Mughniyeh was even involved in the group’s psychological warfare against Israel. He oversaw the production of mobilization video clips and anthems. “He was Hezbollah’s maestro,” the source suggested. Jihadist aides in Hezbollah always operate behind the scenes. Though they are members of the party’s powerful Shura Council, their names are always kept secret. After Mughniyeh, media reports suggested many potential replacements, but the fact is, with such a complicated organization, it’s difficult to guess who Hezbollah will choose as future strongmen. Today the media might cast a spotlight on several alleged military commanders, while the real commander, the new Imad Mughniyeh, could be someone else entirely. In 2009, the University of Maryland’s Laboratory for Computational Cultural Dynamics created a computer model that examines historical data and automatically generates rules assessing the probability that Hezbollah will take certain actions under certain conditions. The resulting model showed the group’s complexity, generating over ten thousand to predict the group’s behavior and making clear that the world will have to keep guessing.